The Swanson Flo Blog is dedicated to provide educational and new product information on process control instrumentation, control valves, and valve automation. For more information on these products, visit SwansonFlo.com or call 800-288-7926. 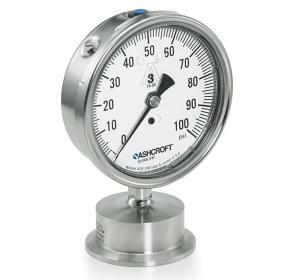 Pressure measurement is a common element of industrial operations and control systems. Fluid processing can often involve media that is potentially harmful to pressure sensing devices. The media may be corrosive to the sensor material, or other media properties may impact the performance or usable life of the instrument. In process control environments, diaphragm seals play a role in protecting items like pressure sensors from damage by process fluids. The diaphragm seal is a flexible membrane that seals across the connecting path to a sensor and isolates the sensor from the process media. System pressure crosses the barrier without inhibition, enabling accurate measurement, but the process fluid does not. Typical materials composing diaphragm seals are elastomers, with a wide variety of specific materials available to accommodate almost every application. 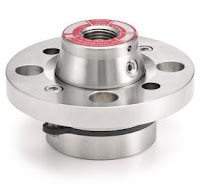 Sanitary processes, such as food, beverage, and pharmaceuticals, use diaphragm seals to prevent the accumulation of process fluid in pressure ports, a possible source of contamination. If such a buildup were to occur, such as milk invading and lodging in a port on a pressure gauge, the resulting contamination compromises the quality and purity of successive batches. Extremely pure process fluids, like ultra-pure water, could be contaminated by the metal surface of a process sensor. 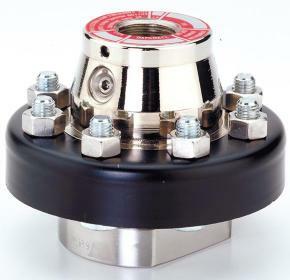 Some pneumatic systems rely on the elimination of even the smallest pressure fluctuations, and diaphragm seals prevent those by ensuring the separation of the process materials from the sensors. in longer instrument life-cycles and improved performance while ensuring protection from corrosion. Founded in 1960, Swanson Flo has long maintained our position as an industry leader in process automation with unmatched project success leveraging industry preferred products and services.